KW Net Lease Research | Bank of America Corp.
Home » Tenants » Bank of America Corp.
Bank of America is one of the world’s largest financial institutions, serving individual consumers, small- and middle-market businesses and large corporations with a full range of banking, investing, asset management and o ther financial and risk management products and services. The company provides unmatched convenience in the United States, serving approximately 48 million consumer and small business relationships with approximately 4,800 retail banking offices and approximately 15,800 ATMs and award-winning online banking with 31 million active users and approximately 17 million mobile users. 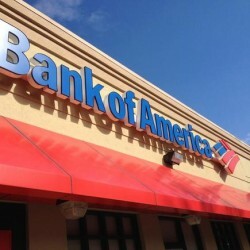 Bank of America is among the world’s leading wealth management companies and is a global leader in corporate and investment banking and trading across a broad range of asset classes, serving corporations, governments, institutions and individuals around the world. 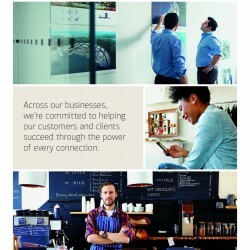 Bank of America offers industry-leading support to approximately 3 million small business owners through a suite of innovative, easy-to-use online products and services. The company serves clients through operations in more than 40 countries. Bank of America Corporation stock (NYSE: BAC) is listed on the New York Stock Exchange. The results for 2014 included an increase of $10.3 billion in litigation expense primarily as a result of charges related to the settlements with the U.S. Department of Justice (DoJ) and the Federal Housing Finance Agency (FHFA).